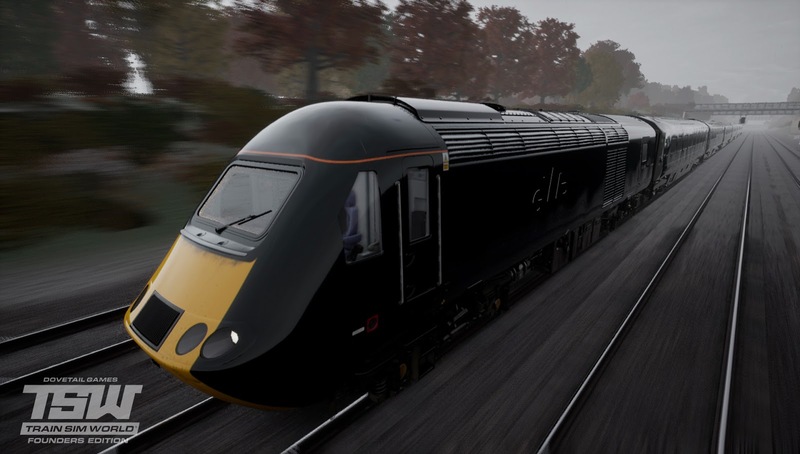 Train Sim World: Founders Edition stands tall on consoles right now as this is the only train sim currently available for us Xbox One players. The game is available on the Xbox store for £24.99/$29.99 and is published by those lovely people over at Dovetail Games, the ones who are to fully blame for my addiction to Euro Fishing. This being my first train based adventure, I honestly had no idea what to fully expect from it. Would it be something I regret asking to play, or would I find myself here being addicted to a game that is normally something I would see on the store and have a little giggle at and then forget it was even a thing. The game gives you two modes to play along with a much-needed tutorial mode too which will help you master the way of the trains that you get your hands on. That being said, I've played the tutorials a number of times now, and even now I find myself sitting down in the seat of some of the trains available and my brain just says "just press every button Tone, that should do it" and the game takes a moment to mock me as I sit still for a minute or two wondering if pressing that big red button will help me. Thankfully though this only really comes into to play when trying out the advanced Services mode, with both tutorials and the Scenario mode giving handy highlighters on what needs to be done and what button or lever needs to be pressed or moved before moving onto the step. Scenario mode is where you begin to see that Train Sim World is very light when it comes to content mind you, with this mode only offering five scenarios to work through. This is a shame as this was easily my favorite mode to play, as it lets you feel like you are really getting good at the game, but holds your hand if you worry about getting stuck at all. Here you will find scenarios such as taking control of a few things, with events like a broken train needing hauling in for repairs, to catching a train to get to your run and getting the passengers to their destination. Just a really enjoyable but short mode in all honesty. Services. like I said above, is very much the mode for the player who thinks he has the game mastered. Here you can spawn walking around a station to take over any of the available trains pulling in, or just jumping on and riding them as a passenger. When it comes to taking control though there is no hand-holding here, with you simple given a job of getting a train at its destination for a set time. and having to do things purely by the knowledge you have for getting that train to get going and doing all the necessary stops and things to gain the XP for doing so. While all the train stuff works well, the game sadly has some faults outside of this, with screen tearing an issue along with just the world the game is in being very dull and full of soulless AI that looks dead behind the eyes, standing like still zombies in any train station you find yourself in. Checking your train and each station you stop to see how full the carriages are I was always met with no people on my trains at all even though I'd sat there with the doors open at every station and waited for the timer to tick down. This made me wonder why bother making me go through the motions if the game isn't even going to bother to give me people to actually see on my train. Talk about soul-crushing, just me on my lonely train. The other thing can be the smaller controls being a little hard to mess about with (lights and things( if not knowing what quick button is it on the controller or even if it has one. Pressing the wrong button can be a right pain in the you know what. Overall: TSW: Founder Edition is certainly a game which won't be for everyone, but at the same time offers something very unique for the Xbox One. At £24.99 it is a little overpriced for the content you get with it, and it certainly isn't the most polished game out there for that sort of price. That said, the scenarios were good fun to play, and if there were more of these on offer in the future via DLC I could see myself wanting to pick them up and play them. It's all depends if you fancy playing something a little different and are willing to pay the asking price. I would say maybe hold out for the edition which offers more content via a season pass, or certainly pick it up in an upcoming sale. Great work as usual, Tony my man!